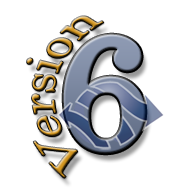 Some customers were quite comfortable with our Version 5 toolbar, and have asked us about the possibility of having all of Version 6’s new and awesome features, but with the retrostyle Microsoft Office 2003 look. Well, we listen to our customers; it’s only fair that if you’re comfortable with something, to be able to keep it, isn’t it? 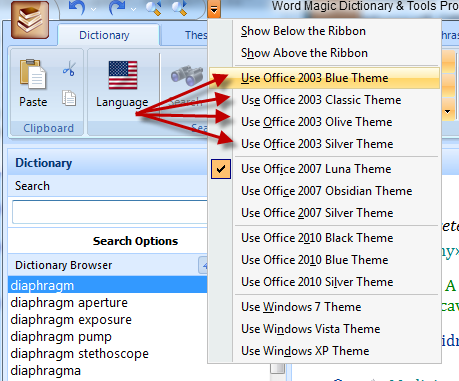 Below you will see the display of the button and its drop-down menu for selecting the old-style toolbar instead of the Microsoft Office 2007/2010 ribbon. We at Word Magic Software have a personal commitment with our customers: whatever makes it easier for them, is our goal. Feel free to send us any and all suggestions or corrections or improvements you may think of to the emails below, and who knows…we might surprise you faster than you think!